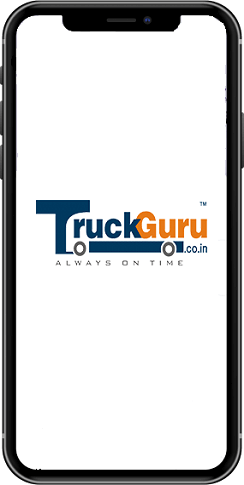 TruckGuru- Your Most Trusted & Efficient Shipping Partner! TruckGuru, a leading transporter in Vadodara uses the perfect combination of experience, skills and advanced technology to provide you with world-class transportation services. Our team is committed to delivering the finest, realistic, coordinated and cost-effective transport solutions to our patrons no matter the shipment is small or large. If you are looking for a most dependable, innovative, and professional transport company in Vadodara, TruckGuru would be your wisest decision. The young and dynamic team at TruckGuru contributes greatly by using their experience, industry knowledge, and also, adopting new logistics technologies to provide real-time transport solution to our clients who are planning to shift from Vadodara to any city. Recognized as the most reputed trucking company in Vadodara, we simplify the shipment process by offering the complete assistance from booking the vehicle to unloading your goods at the desired destination. Our clients across different industries in GIDC Makarpura, Nandesari, Waghodia GIDCand BIDC Gorwa choose us for freight forwarding, logistics handling, and transportation solutions. 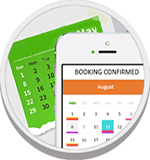 With trained and experienced transportation specialist, we facilitate the whole transportation process as per your specifications as well as the requirements. We invest the time to get to know you and your business, going the extra mile to improve the excellence in logistics services we offer and ensure that your shipments reach safely from Vadodara to hyderabad without any problems or delay. In Vadodara’s most popular warehouse locations like Halol, Padra, Manjusar, Ranoliand Savli, we offer our end-to-end shipment management services that include collection, storage, supervision, and hand-over, efficient space utilization and effective cost management amongst others. Safe, smooth, hassle-free and affordable relocation service. Customs clearance for export and import shipments. The door to door service anywhere in India. The online app to offer you easy access to the vehicle of your choice.